Snap Fasteners - Nickel	There are 11 products. 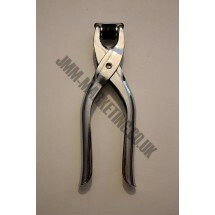 1 * Pliers for Press Stud Fasteners. 1 * Pack of Snap Fasteners - Nickel - 10mm. 1 * Pack of Snap Fasteners - Nickel - 11mm. 1 * Pack of Snap Fasteners - Nickel - 12mm. 1 * Pack of Snap Fasteners - Nickel - 14mm. 1 * Pack of Snap Fasteners - Nickel - 19mm. 1 * Pack of Snap Fasteners - Nickel - 5mm. 1 * Pack of Snap Fasteners - Nickel - 6mm. 1 * Pack of Snap Fasteners - Nickel - 7mm. 1 * Pack of Snap Fasteners - Nickel - 8mm. 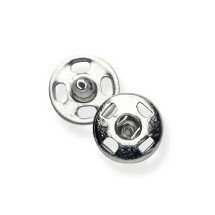 1 * Pack of Snap Fasteners - Nickel - Assorted Pack.